Juanita Kirton shares about her show. The monologue that I created started out as a poem in the voice of a slave women who dreams of what it would be like to be free. Her dreams take her on a magnificent journey, from the fields of cotton/tobacco to Nova Scotia. She experience true love and loss. Through her dreams she is able to mentally escape the horrors of slavery. I wanted to expand my poem and create space between the various places/times. I sing with the Riverside Church Inspirational Choir, in NYC and it became apparent that I could use music to separate my stanzas. I did some research and added spirituals between the different places & scenes for the character. The piece transformed itself from just words on paper to words & music. The songs gave the character some time to reflect on her journey. In October, 2013 a member of WWW (Women Who Write) put out a call for 10min stage readings. I ask if a long poem could be considered. She told me to come and audition. It was accepted and I performed a stage reading at Watchung Arts Center in NJ. The house was packed, I was very nervous, but it went well, with a great response. As with all writing, edits are always occurring. I added some authentic African history to this piece and gave the female character a real name to honor my spouse’s mother. Now, “A Dream” arrived at Power of Words Conference. I am excited to have part of this experience, thank you for the opportunity to share my work. Juanita Kirton holds a BA in Psychology, an MEd in Special Education, a PhD Educational Administration and a PhD in Developmental Disabilities. In 2015 she obtained a MFA from Goddard College in the Creative Writing/Poetry track. 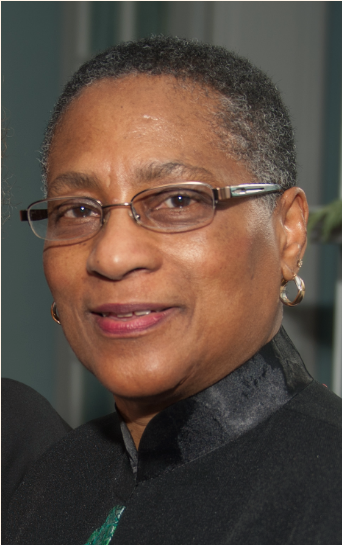 Juanita sings with Riverside Church Inspirational Choir, is a member of Rutgers University South African Initiative Brain Trust Committee, the Pocono Mountain Arts Council, the Pocono Mountain African American Network, volunteers with several local organizations. Juanita facilitates the Blairstown Writers group in New Jersey, which is affiliated with Women Who Write in NJ and participates in the Women Reading Aloud workshop series. She directs the QuillEssence Writing Collective that coordinates an annual women’s writing retreat at Kirkridge Retreat Center in Bangor, PA, and is currently a poetry editor for the Goddard College Clock House Literary Journal.